Home » News & Updates » Splitting up the Jewelry in a Divorce: Say It Isn’t So! “The price of anything is the amount of life you exchange for it.” How aptly Thoreau’s words apply to the division of property when it comes to divorce. As you prepare to move on to the next chapter of your life, you surely have questions. Splitting up your jewelry may be among your concerns. TN Code § 36-4-121 provides the law concerning the distribution of marital property. That said, one of the primary considerations often becomes defining what constitutes marital property. Under Tennessee law, only marital property becomes subject to equitable distribution. In the meantime, married couples may come into a marriage with assets deemed separate property. Likewise, some financial gains during a marriage may be separate property. For example, if a husband or wife receives an inheritance during the course of a marriage, it becomes separate property. The differences between marital property and separate property matter when it comes to dividing up property. For some, battles ensue about simple things like household items. All things considered, it can get downright ugly. In the meantime, you may be a person who covets your jewelry. Likewise, spouses who gift jewelry may resent they spent money on someone who hurt them or abandoned them. No doubt, jewelry often comes with more than a financial price tag. Many times, it represents an emotional attachment – making it priceless. Will you have to divide the jewelry or its value in your divorce? Once again, only if the court considers it marital property. At the risk of keeping you in suspense, you may want to see what happened in a recent Tennessee Court of Appeals decision. The Court of Appeals submitted its written opinion in Williams v. Williams on March 26, 2019. The appeal from what appears to be a high-asset divorce case included issues regarding alimony and attorney’s fees. However, our discussion here focuses only on the classification of the wife’s jewelry. Lane Edward Williams and Lisa Lyon Williams married in August 1995. Although the couple lived in other states, they ultimately settled in Jackson, Tennessee in 2005. By the time they moved to Tennessee, Lane had passed his medical boards and became a fellow in obstetrics and gynecology. Lisa’s nursing license expired, and she did not work outside their home from the time they married until 2010. In the meantime, Lisa expressed an interest in ministry and was ordained in 2008. She worked for some time as a pastor and an adjunct professor at a seminary. In 2016, Lisa returned to North Carolina, her original home state, to further her ministry studies. When Lisa filed for divorce in 2016, she did so from North Carolina, where she still lives. 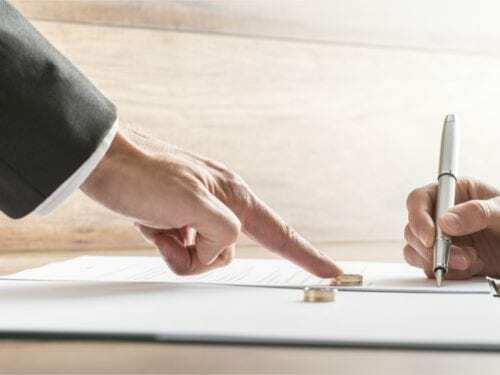 After the divorce trial on October 23, 2017, the court entered the final decree of divorce on December 18, 2017. The letter ruling found that both parties had some measure of fault contributing to the end of the marriage. Notwithstanding, the court found Lane to be more at fault. Among other things, the trial court ruling divided the couple’s marital property and marital debts. However, Lane disagreed with an aspect of the judge’s decision. He disputed the lower court’s that Lisa’s jewelry represented gifts from him, and therefore constituted separate property. Truth be told, the jewelry’s appraised value amounted to $161,535.42. Therefore, it’s not difficult to imagine why Lane had such an issue with Lisa keeping it all. The husband suggested that Tennessee case law supported his argument that the jewelry represented marital property since it represented an asset acquired during the course of the marriage. That said, TN Code § 36-4-121 (b)(2)(D) suggests otherwise. It states that “[p]roperty acquired by a spouse at any time by gift, bequest, devise or descent” is separate property. According to Lisa, Lane gave her the jewelry as gifts during their marriage. Meanwhile, Lane testified that he bought the jewelry as an investment. During the divorce trial, Lisa denied any conversations supporting Lane’s assertions that any of the jewelry purchases represented investments. Both parties admitted that Lisa wore the jewelry. Lisa added that she knew of no intention to resell the assorted pieces at any time. In the end, the Court of Appeals agreed with the trial court. Since it was separate property, Lisa’s jewelry was not subject to equitable distribution. Her former husband’s gifts remained her possessions. When you are going through a divorce, you need an experienced family law attorney to guide you through the process. At Martin Heller Potempa & Sheppard, PLLC, our lawyers are here to help. Contact us to schedule an appointment.